Every year at the Consumer Electronics Show, the big brands and aspiring startups never fail to impress the crowd with innovative launches. CES 2019 was no different as the launches focused a lot of making your home smarter, your life easier and most importantly, building a healthy lifestyle for people living in this gadget-driven world. This big list of 20 amazing health and fitness gadgets revealed at CES explores a handpicked collection of great products showcased during the event that we think you might actually incorporate in your daily routine. While some of them are still Kickstarter projects, the companies managed to show prototypes and many of them are heading to an online store real soon. 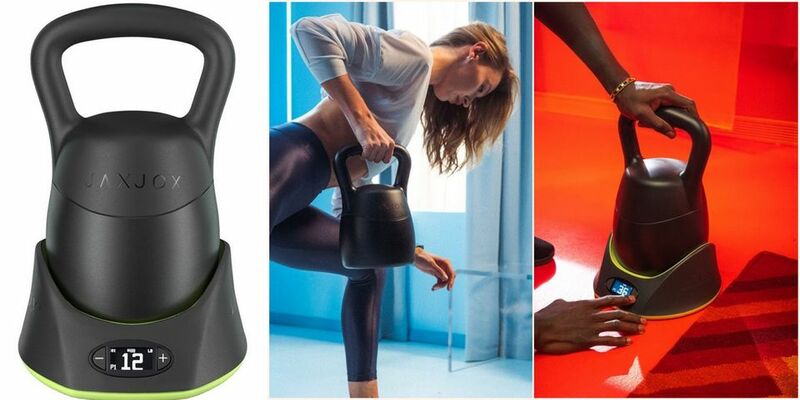 The Kettlebell Connect is a smart gym equipment designed and sold by JAXJOX. Before you explore various features of this product, you have to know that it costs a whopping $350 and that’s a lot of money for a weight lifting equipment. Instead of the person having to manually keep track of reps, sets and the time spent in lifting weights, the kettle weight will do it all and send it to the JAXJOX smartphone app. When the product gets launched, it will have 40 different workout classes integrated into it that fitness lovers can use to lose weight or build muscles. 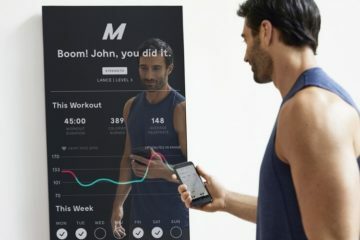 We definitely need one in our workplace because many of the health-conscious gym goers tend to cheat a lot but they can’t anymore as the app keeps track of it all. Instead of having your own personal trainer or pay for a gym subscription that you hardly make use of, we could definitely suggest the Kettlebell Connect. It takes care of your reps, your fitness regime and at the end of the day will give out a fitness score which you can improvise upon in the following days. Sounds cool, right? Hupnos Sleep Mask Do you snore a lot and disturb your spouse? Actually, this is a question we should throw directly at your partner because they are the ones who suffer when you snore loudly in the middle of the night. 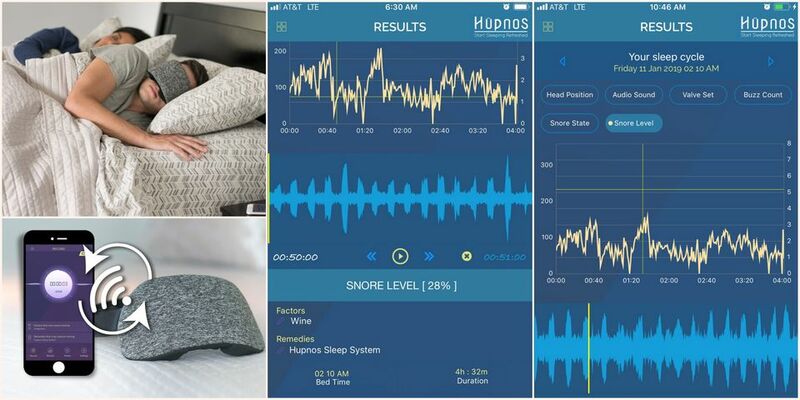 The Hupnos sleep mask is a quick and reliable solution, one of the many practical health gadgets revealed at CES 2019. The mask may look simple but it is equipped with multiple sensors and makes use of Expiratory Positive Airway Pressure, EPAP technology to detect as soon as you start snoring. Instead of waking you from your sleep, the mask vibrates softly expecting you to change your sleeping position which usually stops the snoring sound. The designers have used large valves to provide enough space for you to breathe freely and the EPAP is activated only if you snore. The Hupnos sleep mask sends sleep data to iOS or Android phones via Bluetooth 4.0 with battery life up to 20 hours so that users don’t have to charge it repeatedly every night. FightCamp FightCamp is an interesting addition which combines boxing with fitness training. You can do them both at your home without having to face a real opponent or hit the nearby training arena. The bundle includes a punching bag, an exercise mat and hand wraps. These high-end gloves are equipped with a Bluetooth sensor that keeps transmitting the number of punches you threw and is tracked on the FightCamp iOS app in real time. Be prepared to spend at least $39 every month in subscription costs which will give you access to FightCamp workouts designed by professional trainers. It includes pre-designed workouts as well as on-demand fitness and boxing plans created each week to give you variety. The entire bundle costs about $995 and if you are really serious about training while shedding those extra calories, this is a more rugged and inspiring way to do it. Don’t forget to play Eye of the Tiger in the background though to keep motivating yourself every day. Matrix Powerwatch 2 While we have to charge several gadgets a day including smartphones, headphones and laptops, it is a welcome relief to see companies like Matrix going the nostalgic route. There used to be a time when brands made solar powered calculators and torches. 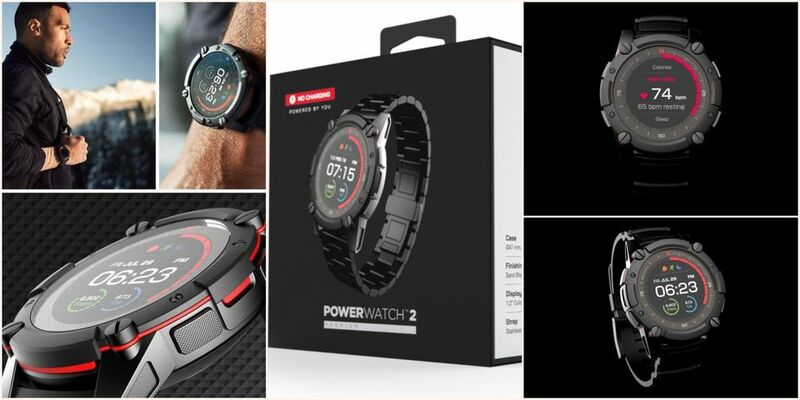 The Powerwatch 2, which is a follow up of the Powerwatch showcased at CES 2018, is a perfect addition for anyone who is fed up of having to charge multiple peripherals every day. The latest version features a compact 1.2-inch color display with GPS and fitness tracking. It uses thermometric and solar charging, body heat and sunlight to charge which ensures there is no need to use a charger at any point. The Matrix Powerwatch 2 is compatible with Google Fit, Apple HomeKit and is never considered a replacement for a smartwatch. While its functionalities are limited, it does support GPS, compass, walking pace and is a perfect companion for travel and trekking kind of activities. 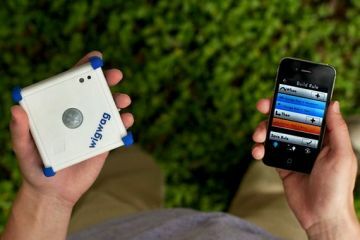 The product costs about $199 and is being promoted on Indiegogo to hit production. However, its pricing will go up to $499 when it hits the stores and this could be the cheapest you could order right now. A healthy lifestyle is what modern day gadgets aim to promote and the Opte Precision Skincare System ideally suits the purpose. Being healthy is not about eradicating diseases or fighting age because it is also about looking good. When you know you look beautiful and perfect, you will feel confident about yourself. The skincare system is a handheld inkjet printer which has 120 nozzles and a powerful camera that can capture 200 pictures of your skin in a second to spot blemishes, pigmentation among other shortcomings. In a demo video showcased at CES 2019, a person has to run the scanner over their face and it will detect the spots where a foundation is needed. It automatically applies a very tiny amount at the exact spot but leaves the rest of your face untouched. Opte believes this is the future where you look natural yet beautiful and perfect – all thanks to the technology that made this possible. Besides, excessive makeup all over the face affects one’s personality and this could be the solution people might love. 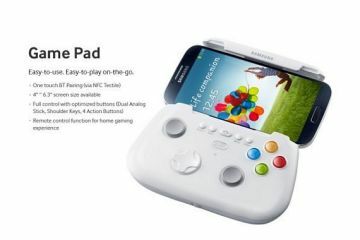 There is no announcement on how expensive and practical this device could be when it gets launched. Nanit launched a new product named Breathing Wear at CES and it will be available in two different variants. One of them is the Breathing Band and the Nanit Swaddle. 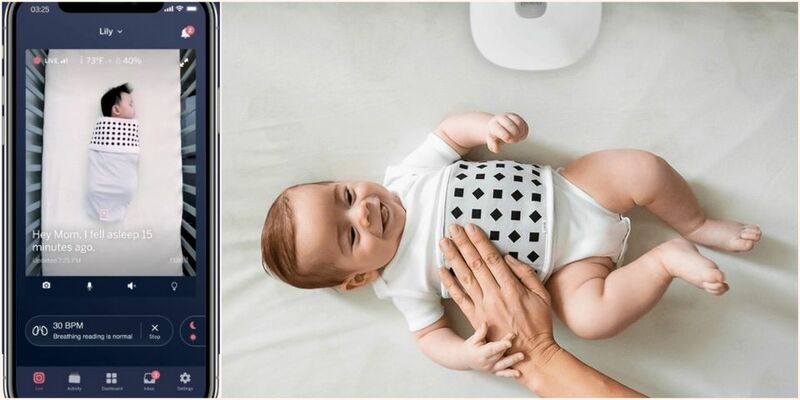 The idea is to make it easier for parents to know if their baby is having a good sleep in its cradle and in order to fully utilize the product, you have to pair it up with the Nanit Plus smart HD baby camera. Mounted on top of the cradle, it provides a bird’s eye view of the baby to ensure its safety. Instead of focusing on the movements, the Nanit Breathing Wear is all about keeping track of baby’s breath and sleeping pattern. It doesn’t have to be in contact with the skin yet is made of breathable, safe material. The Nanit app sends real-time alerts if the baby stops breathing so that you could immediately check it out. It is available in different sizes up to 24 months and made of 100 percent cotton material. The breathing wear products start at $25 but you might have to buy the entire bundle to make the best use of it. Now you can put this device to work and take some good rest! This should be the easiest one to understand – the Interpreter Mode on Google Assistant. How many times have you found yourself in a foreign land and fumbling to translate content on a smartphone? Google wants to make your travel easier and it’s definitely something we would love so as to plan a trip without being intimidated by languages. With the new update, just say Hey Google, be my Spanish Interpreter and Interpreter Mode will be switched on. The translated content can be displayed on a tablet, a display or your smartphone. You can easily check into your hotel without knowing the language. It also requires smart displays to be installed. During the event, Google partnered with Caesar’s Palace and other popular brands to showcase how it works in the real world. It is more of a software update and something Google, as well as service providers, should implement on their own. So, you’ve got nothing to worry about but just make sure the place supports Interpreter Mode. Stress is one of the biggest problems people are battling with apart from numerous diseases. It could be caused by several reasons such as real-life problems, office work or the inability to understand things going around them. While traveling and unwinding in nature is a good way, Touchpoint basic is designed to help relieve your stress in closed environments on a daily basis. Amy Serin, a neuropsychologist has designed it. The Touchpoint is simple and you just wear it like a strap around your wrist. Press the button and it will start vibrating to ease your mind within 30 seconds. If it doesn’t work, you can always increase the vibration level and the seamless sync in the vibration is designed to slow down your heartbeat, make you think clear and reduce stressful situations by calming your mind. The product costs $160 and could be a great gadget for most people who feel really stressed out on multiple occasions. Something’s driving you crazy? Are you losing your cool? Check this out and let us know your experience. Stanley Black and Decker was into a completely different field in the past. 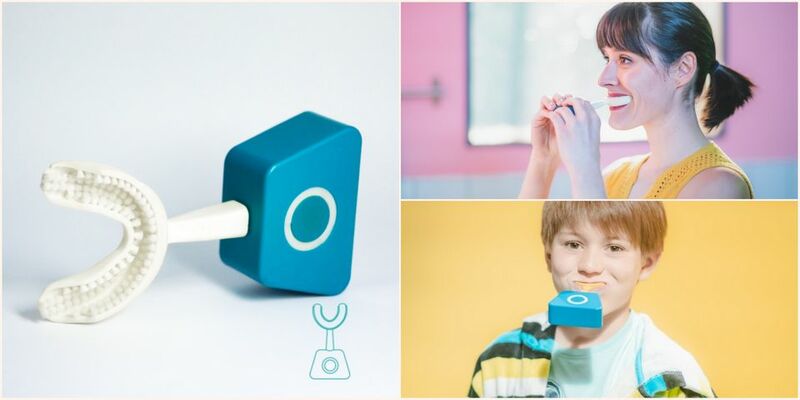 They make power tools and home improvements but Pria is a healthcare product designed to help the elderly and those who need medical supervision at home. With the homecare companion, it sends reminders to have medical doses at pre-defined intervals and also help monitor those who are sick. Equipped with a camera, microphone and speaker, the patient can trigger an alarm if required, do video calls from their bed and there is no need to have a person in the sick room 24 hours a day. It saves a lot of time while creating a favorable atmosphere for both the caretaker and the patient. All the data generated is sent to an iOS or Android app as preferred. Pria even has a face and a mouth to create a friendly tone. The product costs $40 per month as a subscription to provide ongoing support and medication while individual pricing is yet to be confirmed. Tinnitus is an ear-related problem that many people suffer from especially if they have accidentally damaged their eardrum due to high volume concerts or sound exposure. Such people constantly hear a ringing noise in their ear which is what the Diapason app aims to solve. The app has been developed after receiving lots of feedback from patients and also from experts in the ENT field. You may or may not have Tinnitus but for those who have, the company promises effective results in just two weeks of using the Diapason app. A bunch of games are loaded into the app which the patient can play on the way which will have an impact on the problem by relaxing your mind and taking it off the constant ringing. The team calls it digital therapy and it works, at least according to the team. The app is available both on iOS and Android. It costs 12.50 euros a month or a yearly plan would set you back by 149 euros. Quell 2.0 is a smart strap that you can wear around your calf. Unlike tight straps or oil massage, this kind of treatment is quite different and is driven by technology. 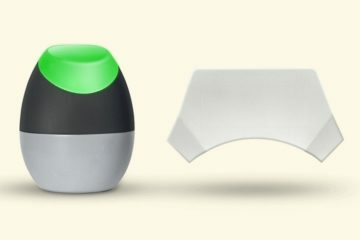 The product named Quell is not entirely new as it was already launched but the health gadget showcased during CES 2019 is at least 50% smaller in size but more powerful than the previous edition. It makes use of electric nerve simulation to relieve pain in a select area in your body. The product is powered by Quell Healthcloud, a large community of people around the globe. It receives all its AI data from thousands of customers, their pain relief stories and optimizes the treatment accordingly. A Therapy Coach smartphone companion app is also available that you can download to fight chronic pain, get motivational messages to keep going and be in the loop. Being part of a crowd emotionally heals the person and combined with AI and a comfortable strap to wear helps feel the soothing effect. Omron HeartGuide promises to accurately measure your blood pressure. It is a smartwatch people would need especially if they have High Blood Pressure issues. The watch not only gathers this information but can wirelessly send it to the smart app on your iOS or Android phone to do a health analysis. The band that expands is safely tucked into this small watch. You can do it manually or set up an automatic time every day to take your blood pressure so as to save that data in the app. Apart from being a highly reliable watch, the HeartGuide also keeps track of your motion. It records how many steps you take every day and the overall quality of your sleep. Anyone who is suffering from blood pressure should definitely get this one to safeguard against an unexpected situation where they could faint due to high or low BP. The product is authorized by the food and drug administration department. Such a futuristic technology is not going to be cheap as the Omron HeartGuide costs $499 and is worth it for those who have an immediate requirement. After going through a long list of medical gadgets and how technology helps people cope up with diseases, here’s something to brighten up the masses. Olay is a fashion brand which has come up with the FaceNavi, a smart wand that makes use of electromagnetic technology. Instead of applying foundation all over your face, it scans your skin and sends the information to the smartphone app. Based on the suggestions made by the app and the AI makeup assistant, all you have to do is run the wand over your face until it finishes covering specific skin issues wherever needed to get that smooth look. It should make life easy for a lot of women who don’t have too much time for makeup but would love to look their best every time they go out. Similar devices like the FaceNavi Smart Wand were unveiled at CES 2019 but it is to be seen which of them makes it first to the consumer market and grabs a market share. L’Oreal introduced a new product at the CES show and it was a unique one because finally you can know lots of important things about your own skin. The wearable launched at the event allows users to know the pH levels on their skin. The target audience is dermatologists who can use it to determine what needs to be treated while users can also do it on their own to follow a healthier lifestyle. The wearable should be wrapped facing your inner arm for at least five minutes to a maximum of 15 minutes. The two dots on the strap should pick up your color so as to send accurate results to the My Skin track pH app. Apart from the pH level on your skin, it can also detect glucose level, lactate, chloride and other details required by a professional. There is no word on the consumer version of the product and it is still in prototype stage but will be very useful to treat skin diseases as well as make your skin look healthier and brighter by analyzing it on a deep level. The Neutrogena MaskID makes great use of the 3D printing technology which is yet to find its way into the mainstream market. The brand is known for making some of the world’s best skincare products and they have pushed it a notch with this new gadget. It utilizes the 3D camera in a smartphone, such as the ones used in the iPhone XS, XR to snap a selfie and create a multi-dimensional map of a person’s face to analyze their skin. The data collected from an individual will be transferred to the Neutrogena Skin 360 database and a 3D printed hydrogel mask will be provided to the person. It will make it easier for them to understand where all the weak spots in their face are that need to be fixed and how makeup, as well as foundation, if used properly in these spots can enhance their overall looks. By combining multiple technologies for skin analysis, MaskID is a perfect example of how the future could not only help the health industry but also aid in beauty and comfortable living. The gym scene has been pretty much stagnant for many years and people have been using mechanical weight driven machines for decades now. The HiiGa One aims to change it by ushering in digital technology. It is a weight training, workout machine which has no visible weights and users don’t have to get up every time to change the weight levels to increase the pressure exerted on their muscles. Everything is automated in this new piece of technology which automatically increases the weight when weight is pushed back onto the user. After extensive research, the manufacturers have found that straining to bring down the weight is more effective on the muscles than pushing it up which is why HiiGa One automatically increases it. It is a personalized weight training equipment that focuses on getting the maximum out of your workout time with emphasis on quality than quantity. It is not commercially available yet. Somnox Sleep Robot Would you want to cuddle a robot that would put you to sleep? The world you might have seen in movies like Blade Runner is not far away as it has already started. Gone are the days when people want to cuddle a spouse or just a plain pillow because smart home gadgets have come to your assistance. If you suffer from issues like stress, depression and burning eyes due to too many digital screens, the Somnox Sleep Robot has an answer to all your problems. Equipped with motors on the inside, the small and cuddly robot puts you to sleep with gentle vibrations. It allows users who spoon it to focus on sleeping and apart from gentle vibrating parts, it also has speakers that sends out musical notes used for yoga, meditation and sleep. When everything is bundled into a single package made of soft leather foam and other soothing materials, you are ensured to get a good night’s sleep within minutes of hitting the bed. The statistics are monitored and sent to the official app for your perusal. Somnox sleep robot costs 549 euros and is available for pre-order now. Y Brush Sometimes, we tend to get too lazy. Even to brush our teeth! Have you never felt it that way? I mean who has all the time to brush for 10 minutes straight and if you have a habit of doing it twice a day, it becomes even more difficult (or say, time consuming). CES 2019 has the answer with the Y Brush that lets you get the job done in just 10 seconds. That is great because it simplifies the process with a mouth guard filled with bristles all over and all you have to do is put your favorite paste in the filler cap in front of the guard. The next step is to switch on the power button and the Y Brush will start vibrating. It spreads the paste around and cleans your teeth in the perfect angle suggested by the American Dental Association. Do it for just five seconds on your lower teeth and then on your upper teeth. It is available in four different sizes to suit people of all age groups and dental shapes. Within ten seconds, you will be sparkling clean but this is certainly not designed for those who love to do it on their own at a leisurely pace. The Y Brush costs $125 which is slightly expensive but it is made for tech geeks who crave for innovation as soon as they start their day. Slighter Slighter is a cigarette lighter that is aimed at helping you quit your smoking habit. That sounds very ironical. We thought so too because a lighter may encourage more smoking but the brand has some other ideas. They suggest that it becomes your companion to light up your cigarette but it does send notifications on when to smoke and when not to smoke. Being a smart lighter, it also keeps track of your smoking habits and provides you important inputs to gradually help you quit the bad habit. The Slighter is a compact, black gadget which even has a display to show what it is processing. Just smoke as you do every day so that it can understand how addicted you are to nicotine. The data collected from you personally can also be shared with a community that is trying hard to quit smoking. The concept is quite similar to weight loss apps and it comes with a range of features bundled inside to make your journey towards becoming a non-smoker more fun. Every time you achieve a milestone, it even encourages you! 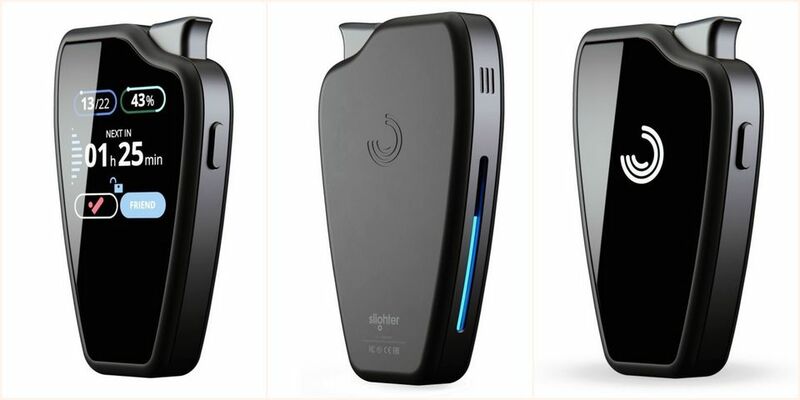 Slighter costs about $129 and its now available for pre-order. This is a product that almost every cyclist living in a crowded metropolitan city requires! After introducing smart capabilities in almost every other health gadget including beauty products, we now have the R-Pur anti-pollution smart mask. The way it works is simple yet very effective. It is powered by lighted areas. Every time the air quality turns bad, it shows a red colored light strip all over the mask and changes as the air becomes better for cyclists to continue riding. Designed by the French company R-Pur, the mask filters harmful bacteria found in air and provides cyclists a great way to breathe in fresh air. It significantly reduces any airborne diseases that affect people a lot when they travel in public on their cycles. The mask connects seamlessly with your smartphone app providing updates on current air quality in your city, ways to breathe fresh and it is made of highly comfortable material that you could wear for long hours without any discomfort. CES 2019 had a strong focus on health gadgets and making life smart for people who are looking forward to leading a healthy lifestyle. 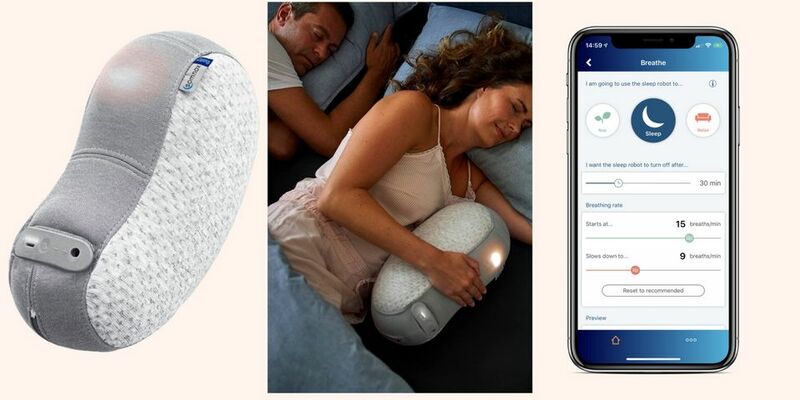 While the event often focused on televisions and smart homes in the past, there were lots of great, practical products to look forward to including smart baby cribs to masks and sleeping robots that help you sleep peacefully. Many of these are products are expensive as they are still prototypes and are on Indiegogo but it won’t be long before they become part of your daily life to ensure you smoke less, eat healthy food and enjoy convenience at home beyond simply using voice assistants to find your favorite song. The Kettlebell is able to adjust the weight from 12-42 pounds. For most people, this is optimal. You can buy kettlebells for less, but the Kettlebell Connect gets you a wide range of weight possibilities. My initial thought is to scoff at the Kettlebell Connect for counting for me. How hard is it to count to 10? Well, let me tell you, when I am “in the zone” and working my exercise routine it is common for me to lose count as to what rep or even set I am on. Did I lift too much or not enough? This smart kettlebell has a beautiful digital display. You can buy multiple traditional kettlebells to cover a range of desired weights or you can buy just the Kettlebell Connect. I would rather have the Kettlebell Connect to save on space. How would the Hupnos Sleep Mask with someone like my ex-wife? My ex would snore regardless of the position she was sleeping in. The Hupnos Sleep Mask vibrates to have the person change position, but with her, she would simply be vibrating and turning all night while continuing to snore. I guess I just don’t fully understand this mask, but if it helps people from snoring it will be very beneficial, not just to the snorers, but also their spouses. The good thing is we never had to worry about bears when I would take her camping, her snoring would scare all of them away. The sleep mask will actually only vibrate if you snore while sleeping on your back. In any other position, you won’t get the vibrating. It will, however, record and track your snoring so you can review it later. What I am unsure of is if the Hupnos Sleep Mask will be able to replace a C-PAP machine for some people. I don’t think it will, but maybe using the data collected about your snoring habits you can work with your doctor on and recognize trends when you snore. I snore loudly, but only when I am exhausted. If I miss some sleep and don’t get to bed until extremely late or if I had a very physical day at work then I will be snoring loudly, but rest of the time I tend not to snore at all. I don’t work out a whole lot because I get bored really easily but I’d definitely get the FightCamp. I love using the punching bag at the gym now but there isn’t any classes or anything to go with it. My only worry is how durable is it? Since I’m literally punching it, I don’t want to break any part of it as soon as I get it. The durability has me concerned too. You can buy martial-arts oreiented punching/kicking bags off of Amazon for much less. I would like to get the loves though. It looks like it’d be a lot of fun. Unlike running and walking, I don’t have to worry about my neigbors seeing me. $39 seems like a huge cost on the FIghtCamp, when Netflix is only running me $13/month. For physcical health, the FightCamp system will work good. FightCamp would also help a lot with my mental and emotional health. After a bad day, I can take it out on my punching bag while burning calories. The R-Pur mask is nice that it shows you how polluted the airs are. I think a smart mask like this is a good idea. Even a plain old mask is better than nothing. I Asian Countries its common to see the Japanese and Chinese walking around with a face mask on. Here in the United States we rarely use them, even when we are sick. Other than Michael Jackson, I can’t recall seeing anyone in public wearing one besides Doctors and Nurses. The Kettlebell Connect seems like a better option than a pen and a piece of paper for the tech savvy. I would use it, I don’t think weight would ever be an issue for me now or in the future. Sure you could buy a cheaper kettlebell but then you have multiple kettlebells and I don’t know about anyone else but space is at a premium in my house and I’d never want to move them all to the next one. For actual combat training, you must have an instructor with you to help show you what you are doing wrong and how to improve. The FightCamp is not designed to train you to be a boxer, it is designed specifically as a fun way to get in shape. Yeah, the initial cost is a bit steep, but you no longer need to go to the gym with FightCamp. FightCamp is an ingenious idea. 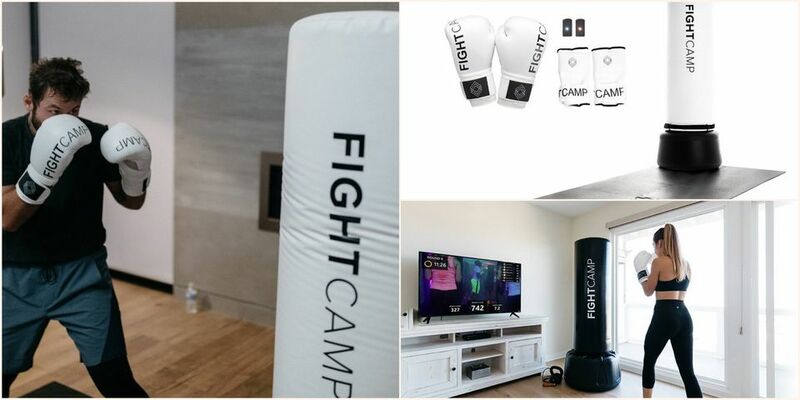 We already have Zwift and similar sites for cycling and jogging simulators, but the FightCamp is first I have heard of for true boxing at home fitness unless you count the Nintendo Wii boxing. I burned a lot of calories with the Nintendo Wii. What would be cool is if in the future FightCamp can implement virtual fighting where you can box and move around a virtual ring with another person. 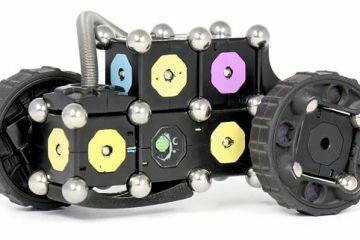 The $995 price is for the full package, but if you already have a punching bag at home you can buy the $399 package called the FightCamp COnnect, which will get you the gloves and punch track sensors. You can also purchase the FightCamp Family setup which comes with enough equipment you can train with your spouse or friend. FightCamp looks like a lot of fun to me! The Nintendo Wii boxing is a better buy than this over-priced crap. Look, the FightCamp system is a great idea, but it is over-priced. The gloves, sensors, and punching bags are all too high of a price. In addition, a monthly subscription of $39.95 is too high too. I guess if you actually use it then the FightCamp program will be good, but many people will leave it to collect dust in their garage or basement while forgetting that they are still paying a monthly membership fee too. I wish the FightCamp boxing gloves came in red. The white boxing gloves look really pretty, but they will get dirty fast. The red gloves are more traditional too. I wish more tech gadgets were like the Matrix Powerwatch 2 with the diversity of charging capabilities. I hate having to constantly be checking battery life on my phone. I would love to get an Apple watch, but I don’t want another item that I have to worry about battery life with. The Matrix Powerwatch 2 reminds me of my old Timex watch. With the Timex, I could put a battery in every 8-12 months and it was good-to-go. The Matrix Powerwatch 2 is much more powerful than my old Timex. I like the GPS built-in to it, but I especially like that I don’t have to charge it up every day. Yes, the Matrix Powerwatch 2 isn’t a smartwatch and doesn’t have as many functions as an Apple Watch, but I would rather own the Matrix Powerwatch 2 so I don’t have to worry about it going dead. A few functions always working 24/7 is better than a lot of functions that only work until the battery goes dead. The Interpreter Mode on Google Assistant will allow more people to travel to foreign destinations! Some people won’t travel to foreign places where a different language is spoken because it scares them. “What if I need to use the bathroom and don’t know how to ask for one.” “How do I tell my waiter that I have a food allergy?” These and other common concerns can be overcome by simple phrase books to help learn the basics of the language before you travel, but the Interpreter Mode will make it even simpler and it will still help to pick up and understand some basic phrases while traveling. Immersion is not only the best way to learn a foreign language, but it is also the best way to learn about a culture and the people. Google has been testing and playing with versions of this for many years now, so it is a relief to see them take this to the next level. I quit cold turkey and don’t miss smoking at all. I think quitting smoking all at once is the best way to do it. The first few days were the worst and then after a week, I didn’t miss it at all. I encourage people to quit smoking, regardless of whether you quit cold turkey or slowly taper it off. I have mixed emotions about the Slighter. I am glad for any product that may help people to quit smoking, but $129 for a lighter to help you quit smoking seems crazy. I know of many people that quit smoking by using a vape. A vape gives you your nicotine without all the harmful chemicals in cigarettes. As a former smoker, I can no longer stand the smell of cigarettes. I hate the smell of smokers and their clothing. With the guys that vape where I work, I will often head down to join them. I don’t vape with them, but I do like to smell the different flavors they are vaping. It is just water vapor, but they smell amazing. A fancy vape kit with multiple flavors can be purchased for much less than the Slighter lighter. I hope the Slighter helps people to quit smoking, but I am really hesitant that this will be a successful product. I actually love the Kettlebell Connect. I work out all the time but I’m absolutely terrible at tracking my working out and terrible at counting my reps when I’m listening to music. I wish it worked with other weights too. The Kettlebell Connect is a product that I’m interested in, but I am going to wait until a Chinese knockoff of it comes up for sale on Alibaba. I’ll sometimes buy generic Chinese products that are similar to a name brand, but never from Alibaba. I will only buy imitation products off of Amazon. The reason is that if it is not very good quality I can easily send it back and get refunded. Sometimes the quality is good enough for me and the product works, but other times it is complete junk. My wife would be over the moon with the FightCamp! Every time we go to the gym together all she ever wants to do is the punching bag. I think FightCamp would be a perfect gift for her and people like her. It’s not like she’s training to become a boxer or ufc fighter. That’s just how she likes to workout. It’ll keep her entertained too and hopefully not get bored with the equipment. One way to keep from getting bored when you workout is to vary your exercise routine. Some days I got the gym and use the treadmill and lift weights, while on other days you can find me hiking around the trails here. I might ride my bike one day and then go to the trampoline gym to bounce around the next. If I only got exercise at the gym and didn’t vary my routine I would not be working out near as much. I really like the idea of using the FightCamp system to work out, but I cannot spend that much on something that may only get used once per week. If I only used FightCamp then I would be getting bored super quickly. The monthly fee is also only worth it if you use it multiple times per week. For the occasional use by me, there is no way I will be buying one. If my local gym set-up a FightCamp bag, then I would definitely use it on occasion. I thought FightCamp would also be great if you get up late and don’t have time for the gym, but still want to squeeze a workout it. I find that using punching bags also helps me mind my stress. So in the morning this could be perfect. I use google translate often at work, and it isn’t always right but it gets me by with the limited knowledge of Spanish I have. I’ve been slowly learning out of necessity, but I can see the Interpreter Mode from Google Assistant help me in real world situations. I have a few movies in Spanish too and this would help me understand in English while I’m listening and reading in Spanish. The Kettlebell Connect could actually be really cool if they come out with a bunch of classes that specifically use it. I use the kettlebells at the gym and I admit I only have a handful of moves I know how to do. A class would get me using those muscles probably in a more efficient way. FightCamp seems totally awesome! There’s nothing better at the gym than punching it out on the punching bag. I try really hard to have workouts that are more whole body experiences verses one group of muscles experiences and this would be it. Also let’s be honest here the punching bag is great for managing stress too. The prices of the classes don’t really bother me if they’re that good. Maybe I wouldn’t even bother with my gym and completely fogo it for FightCamp. My wife bought a kettlebell set with a few different weights. She really enjoys using it as part of her exercise program, but I find them boring to use. I would much rather benchpress a barbell and do traditional weightlifting. I showed my wife the FightCamp but she wasn’t enthused about it, but I think it would be uch more enjoyable then stooping over a kettlebell. I don’t mind the upfront cost of the FightCamp, but that monthly fee is too steep for my tastes. I have enough recurring bills each month between insurance, Netflix, Amazon Prime, and cell phones. I really don’t want to add another monthly bill for the FightCamp. It would be nice of some programmers got together and started something like the FightCamp but made it free and open source. The Opté Precision Skincare System seems like overkill to me. Don’t women already spend enough time applying makeup? I hope less makeup and makeup-free become new fashion trends this year. The makeup companies are just reeling in the dough from women who feel like they have to wear it when they go out in public. I am not really surprised that Stanley Black and Decker is getting into a reoccurring membership billing in the medical field. I think it is a smart move to help them diversify from their traditional business of power tools. I just hope the medical alert is more reliable than the low-quality drills they have been making the past few years.